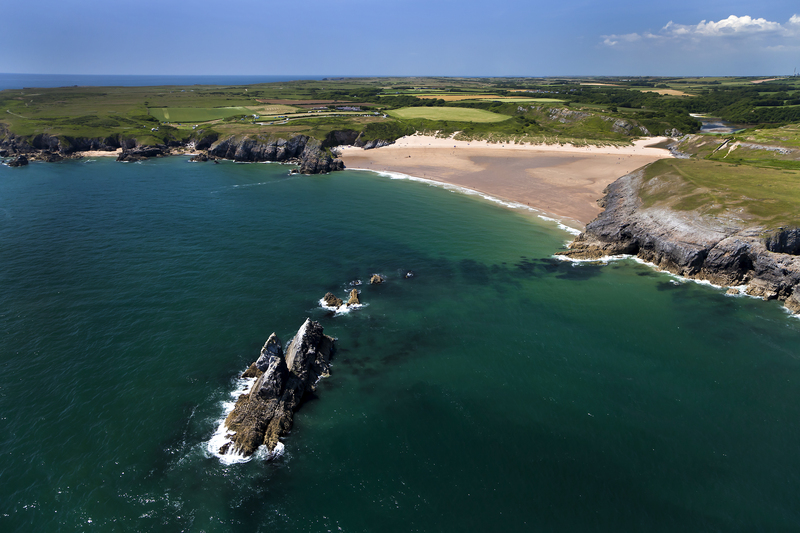 Did you know there are two Broad Haven’s in Pembrokeshire? Broad Haven North, in the centre of the wide embrace of beautiful St Bride’s Bay, is a total contrast from its namesake, Broad Haven South near Stackpole. Broad Haven South is a popular spot for holiday makers; a lovely, sandy cove which has attracted the film-makers as a picturesque, unspoiled location. A television version of the C.S. Lewis story “Voyage of the Dawn Treader” was shot there, showing off its beautiful beach and cliff scenery to great effect. Meanwhile, roughly 45 minutes away lies the tranquil beach-side village of Broad Haven North; a short drive from Wales’ smallest city of St Davids and just inland from the rolling Preseli Mountain range. 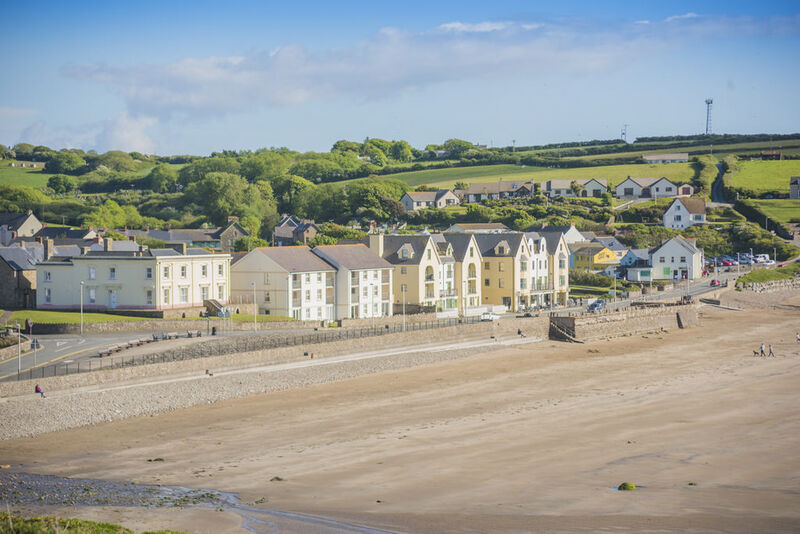 A short stroll from the village centre will take you to our exclusive Sand Banks development overlooking the stunning beach and rugged, surrounding cliffs. A paradise for children and one of the finest beaches in Pembrokeshire, below the cliffs there are numerous rock pools and on the north end of the beach is the craggy Lions Head, well worth exploring! There is a well stocked water sports shop near the seafront which offers surfboard, paddle-board, wetsuit and kayak hire. Small craft can also be launched from the beach and diving is also popular in the local waters. At low tide you can even walk from Broad Haven to neighbouring Little Haven along the beach. 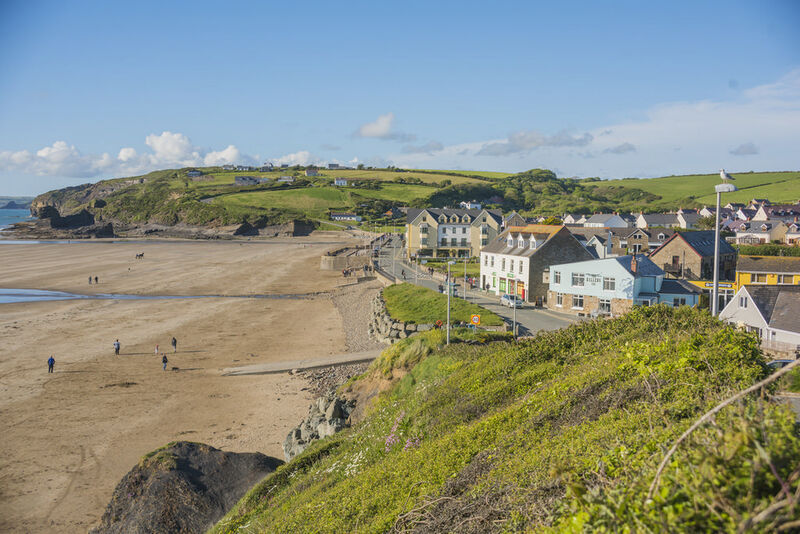 Both Broad Haven and Little Haven offer plenty of options for a bite to eat or much-needed refreshments after a walk to blow away the cobwebs! The relatively flat beach provides extensive shallows which make it ideal for small children, the hot sand warming the incoming tide on sunny summer days. Dog lovers will be delighted to know that their four-legged friends are also welcome to enjoy the beach, although restrictions apply between 1st May and the 30th September. During the mackerel fishing season, small boats often land dozens of fish directly on to the beach, which can be taken away and cooked for supper. Although it is generally calm, Broad Haven can provide good surfing, windsurfing and sailing and has the advantage of being a Blue Flag beach, renowned for its clean condition. 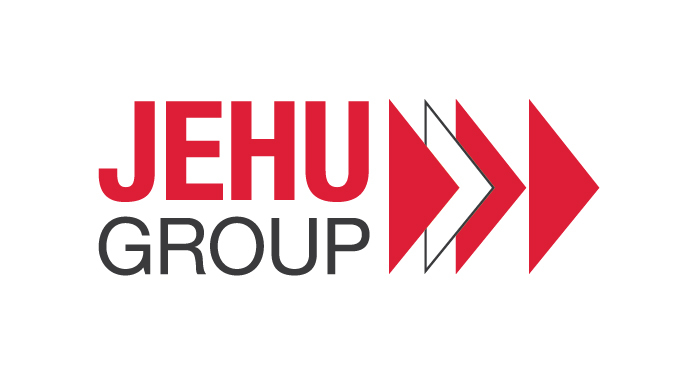 For more information on the homes we currently have for sale across South Wales take a look at our current developments here.